An ink and colored pencil piece based off a daily sketch I made earlier in the month. My father's sister commissioned this from me. 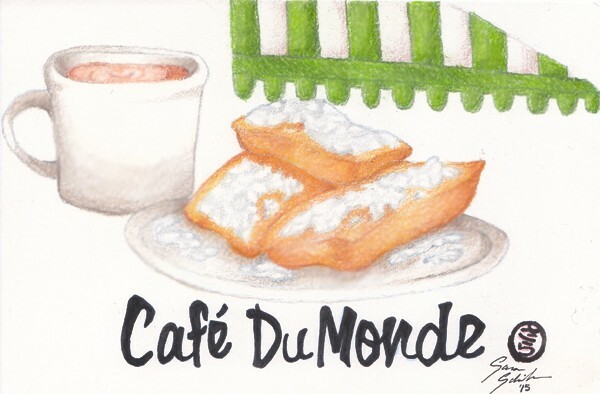 Cafe du Monde is a New Orleans exclusive chain that is famous for their beignets (not doughnuts) and Cafe au Lait, or coffee with milk. Their iconic colors are green and white stripes which adorn the outside of every location. Roughly 4-5 hours were put in to this piece.